Real estate is at the forefront of a significant and exciting change as technology becomes developed at the emergence of blockchain. Sitting right in the middle of technology, finance, and real estate is Matthew Sullivan, CEO and Founder of QuantmRE. He imparts a wealth of wisdom to homeowners and investors about these changes and how they relate to their real estate assets. 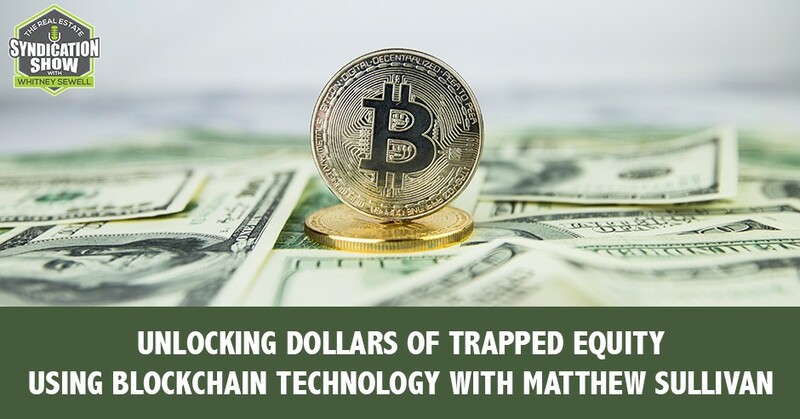 Solving problems for those who have been turned down by banks or offered high-interest rates, Matthew shares a way homeowners can unlock trillions of dollars of trapped equity by employing blockchain technology. If you are interested in starting a fund, learn from Matthew on what is right for you or not. Our guest is Matthew Sullivan. Thanks for being on the show. Thank you, Whitney. It’s a pleasure to be on. Matthew is the CEO and Founder of QuantmRE, a cryptocurrency startup that has a proven track record in real estate innovation through his experiences as Cofounder of the $50 million Secured Real Estate Income Strategies Fund and as Founder and President of Crowdventure.com, a real estate crowdfunding company. Thanks for your time, being on the show and providing us value. To our audience, give them a little more about you, how you got into this business and what your focus is now. My background has very much been entrepreneurial over the last many years. I had moved to the US a few years ago. I’m fascinated by the intersection between finance, technology and real estate. A few years ago, the securities laws changed with the JOBS Act, which heralded the beginning of much greater access to cap grazing through online platforms. That was an important time for me to be over here at those points of changing. As technology developed, as the blockchain developed, real estate is at the forefront of a significant change. It’s an exciting place to be. What is your focus now? Explain to us what you’re doing and go into a little more detail. We’re right in the middle. Imagine your Venn diagram. You’ve got the real estate. You’ve got FinTech, which is all about technology and finance, and PropTech, which is the combination of finance, technology and property. We are right in the middle of those three places at the intersection of real estate, FinTech and PropTech. What we’re doing is we’re helping homeowners release the equity that’s locked up in their homes, but without taking on more debt. By doing that we create a real estate asset that allows investors to get access to $15 trillion real estate asset class with the prospect of liquidity and tradability that comes from employing blockchain technology. We’re taking an otherwise highly illiquid asset, which is the equity in someone’s home and we’re making it accessible, investable and tradable. You must know homeowners, if you are not a homeowner. The thing about homeowners and equity is you spend years paying down your equity. 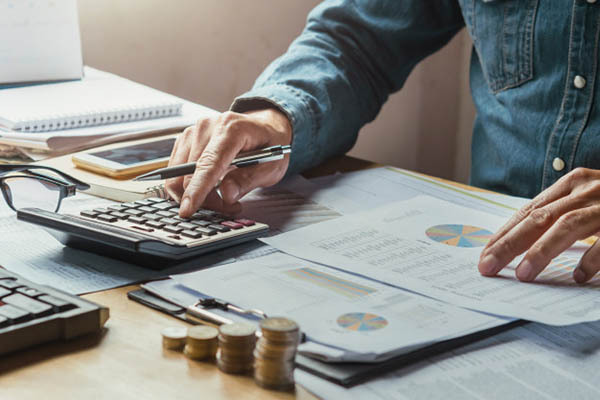 You’ve got to the point where you might have hundreds of thousands of dollars of equity in your home but then you go, “How do I tap into this? I’m a half-a-millionaire or something or a quarter-of-a-millionaire.” The only way you can get access to that money, which is yours, is to go back and borrow against it. We thought that was an unacceptable way of dealing with what is yours. That’s the primary purpose. How do you unlock trillions of dollars of trapped equity without having to go back and create more debt? Take us through the process of what you just said and how that relates to investors, homeowners and build that picture a little bit. Let’s stay on the homeowner track for a moment. Let’s say you’re a homeowner. Let’s say you’ve built up $200,000 to $300,000 worth of equity in your home. Let’s say you’re in a position where you’re no longer working. You might be retired or you might be getting to the point where you simply don’t want to or you cannot borrow more money. The biggest problem for you is that you’re set on all of this wealth, but you’re not able to unlock it because you don’t qualify for debt. You’ve gone to the bank and they turned you down or they’ve offered you such ridiculously high-interest rates. What we do is we buy a percentage of the future value of your home. We’d say to you, “Whitney, what we’ll do is you sell us a percentage of the value of your home now.” When you sell your home, you pay us back that option price. We pay for the privilege of tapping into the potential increase in value. When you sell your home, you pay us back the money we bought the option for. If your house goes up in value, we share in a percentage of that increase in value. It’s a way of participating in the potential increase in your home, but you don’t have to move out. For us, it’s great because you are a fantastic steward of our assets because we’re partners and for you it’s great because you get a big chunk of capital paid in good old-fashioned US dollars. You only have to pay it back when you sell your home. In some cases, that could be up to 30 years from the date that we signed the contract. You’re finding investors and you’re raising capital for your fund to buy this future value of the equity of these people’s homes, correct? Yes. From an investor’s perspective, it’s an interesting asset class because the way our contracts are written, we don’t get back our normal percentage of the house we bought from you. We get an amplified return. When you sell your house, if we for example bought 10% of the value of your home, we wouldn’t get 10% of the increase in value. We’d get two-and-a-half, three or three-and-a-half times that depending on where your house is and other underwriting factors. 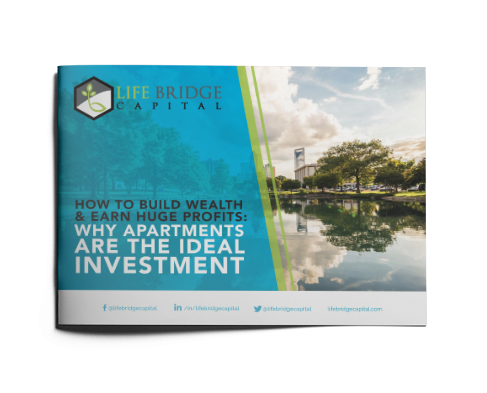 From an investor’s perspective, it’s a good potential return because I get to participate in this enormous asset class, which is owner-occupied real estate. It’s something I can’t get access to. From an investor’s perspective, it’s an interesting asset class. It’s because of the way our contracts are written. The returns are also quite interesting as well. They’re comparative to other returns that I would look to get from other similar real estate investments. The third most important piece is using blockchain technologies, we enable your investment in our fund to be issued by way of shares that are digital or electronic shares that can be traded on digital or electronic exchanges. There are a number of these exchanges that are being built. A couple of them have opened their doors for business already. You will be able to buy and sell your shares in a way that’s far easier than if it was a normal private placement. Who are your typical investors in something like this? Blockchain: Funds are always challenging to get that balancing act between the capital you have coming in and the ability to deploy it. We’re approaching larger institutions and family offices, but our objective is to open this investment up to everybody. What we want to be able to do is get a good head of steam by getting some larger investments in from the beginning from larger accredited investors, hedge funds and family offices. After that, as the business develops and probably within the next few months, we will have an exemption that we hope will be qualified by the SEC, which will be a Regulation A+ and structure. That will enable us to offer shares in these funds to a much wider audience, including non-accredited investors. Now, you can only take accredited but when that Reg A+ comes out, you’ll be able to take non-accredited also? That’s the plan. We filed our Regulation A+ offering documents almost a few months ago. There are a number of questions that we’ll have to answer. We hope to be in a position within a few months. That’s a realistic timeframe to have that offering quantified, at which point we’ll be able to offer an investment in our fund to a much wider audience. Did you have experience with operating a fund before this? We have two other funds I’ve been directly connected with over the last few years. One of them is a Regulation A+ debt fund that is focused on commercial real estate debt, which means it’s debt that is generated from the development of residential and commercial projects, but in a commercial way. That offering was qualified by the SEC back in September 2017. That fund’s been running for a while now. Before that, I was involved with Crowdventure. I’m still involved in Crowdventure. We had a number of smaller individual properties we would invest in and we also had another private placement that was available to accredited investors. The topic of starting a fund and operating a fund seems to be becoming more popular. Could you speak to someone who’s never had anything to do with the fund, but they’re thinking, “This is something I should look into.” How do you know if a fund is right for you? Is that something you should try to pursue to have a fund as opposed to having individual investments? A fund is a collection of investments under one roof as opposed to individual investments. The answer is you have to look at where the demand is going to be and also what expertise and capability you have to put the right investments into the fund. The biggest challenge with any fund is the balance between the investment that comes in and your ability to deploy that capital in the most efficient way. The thing you want to avoid is sitting on large amounts of cash that’s sitting there generating little in your bank. Alternatively, the thing you want to avoid is having large amounts of deals sitting there without the cash to perform. Funds are always challenging to get that balancing act between the capital you have coming in and the ability to deploy it. Scale is also an important thing in any fund. 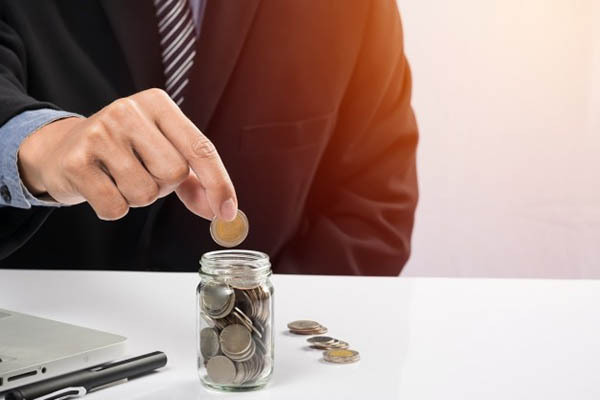 There are costs associated with the setting up of the fund, the management of the fund on an ongoing basis and the ability for you to create momentum to bring investors in. Those costs have to be met. You need to get a certain amount of critical mass in the fund to be able to meet those. It’s a different animal than running single purpose entities for individual investments. Tell us some ways you all have been successful at creating that momentum to bring investors in? The important thing for us is to have any product that is unique and attractive. Investing and marketing investments are the same as marketing any other product. The questions that investors ask are, “What are in it for me? What returns do I get? What liquidity do you have? What are the prospects? What about you as a management team?” What we’re doing with QuantmRE brings together a combination of some deep experience in the asset class itself, an asset class which is large and scalable. The way we’ve brought the asset class into the fund, it provides investors with the prospect of attractive returns. All of those things put us on a pathway we’re optimistic about the investment potential, not only in terms of returns, but also in terms of how attractive this is and to institutional and retail investors. I’m thinking about how you’ve made it attractive in a way that we can apply that to our business and how you all attract investors. Everybody in the syndication business is always raising capital or is always networking. The important thing for us has always been the story. What is the story behind the product? If you go out there saying that our returns are X% compared to Y%, it doesn’t add a great deal. You’re competing on price effects, which is always a thin strategy. The important thing about what we’re doing is there’s a fundamental movement behind the asset itself. There’s $15 trillion worth of equity that is trapped in people’s homes. Many of those people simply are not in the position to or don’t want to go back and borrow more money. We’re creating an equity-freedom movement. The importance of what we’re doing added to the fact that the returns for investors are attractive means it’s much greater in terms of marketing impact than a fund where you’re simply looking to compete head-on with other people in the same space. How do you all manage investor communications and relationships and things like that? The fund is at an early stage. Most of our initial investors will be corporate investors or will be the larger investors. We have an experienced team who over several years has focused much on dealing with those types of investors. We also have some very good retail investor experience on our board as well. We understand for our retail investors the important thing to get across to them is how the fund is performing. Our overall strategy is to provide transparency and auditability to everyone that is involved, either as a homeowner or as an investor. One of the things the blockchain brings is this layer of truth that people can see at a granular level where our investments are going, what our costs are and what the returns are. That transparency is important to people to give them the confidence to invest whether it’s $1,000 or $1 million. Transparency is important. Investors feel better about their investment when they can have access to all the numbers or anything about the company they’re investing in. Explain this term, blockchain. A lot of people have probably never heard of that and what that means. Blockchain: The ability to maintain and to roll with the punches while still maintaining your vision is critical thing in building a business. Most people have probably heard of Bitcoin. Bitcoin is blockchain’s first major outing into the outside world because Bitcoin is built on a blockchain. The blockchain, in simple terms, is a ledger. Ledgers have existed for tens of thousands of years. They keep track of how many tons of barley you own, how many horses you own, how many cows you own or how much square foot in the property in Manhattan you own. Ledgers themselves have taken various different forms. We’re most familiar with electronic ledgers, but those electronic ledgers are fallible if they’re held by individual companies. What the blockchain does that’s different to normal ledgers is it’s distributed across many different owners. The way that it’s built, it’s difficult to change. It’s impossible to change it without everybody else knowing. If you’re a company and you are in control of a database, it’s not impossible for you to go and make some changes and for those changes not to be advertised. A blockchain is a distributed ledger that operates across many hundreds or thousands of computers. All of those people or the majority of those people rather who run that ledger for you have to agree if you want to make some changes. That means we can trust a ledger that sits on the blockchain far more than we can trust a ledger that sits on someone’s company database. Because of that layer of trust that means we can build transactions on that blockchain. We can scour those transactions because we know those transactions are trusted. The blockchain is important for us in terms of liquidity of the shares that we issue in our fund. We issue shares in our fund not using entries in an Excel spreadsheet or bits of paper. We issue them by way of digital assets. The ownership of those assets is held on a blockchain. If you want to sell your assets to somebody else, you can do it without having to involve the parties like banks or third-party companies. That means the cost of buying the shares, the cost of selling the shares is dramatically lower. It happens far quicker. The transfer of shares from one person to another can happen in fractions of a second. It takes three days or between two and three days to settle share using the traditional system. The blockchain is an evolutionary technology that allows the greater trust to be brought into our overall operation, reduces the cost, increases the speed of transaction and allows us to work with fewer people involved. All of which benefits the end customer or the end investor because they get access to an untapped asset class with the ability to sell their shares in a cost-effective and liquid way in order to be able to lock in any potential profit. What would you say is the hardest part about running or starting and operating a fund? It’s similar to any business where you live or die by your customers. Your customers are your investors, but they’re still customers. You have to find them, you have to nurture them. You have to convince them you are the person with whom they need to transact. You have that ongoing responsibility to provide performance. It’s hard compared to a normal transaction where you sell them a computer or a widget for example. In a fund, you have to provide ongoing performance continually. The most challenging thing with a fund is the two critical components. Where do we get the money from? How do we efficiently and reliably deploy that capital to the benefit of our investors? I know it’s a dramatic simplification, but everything else is relatively straightforward. You are structuring the fund. Where do you domicile it? What exemption do you use? How do you operate with insecurities regulations? There are a plethora of people that can assist you with that. The hardest thing is where do you find the investors? How do you get to scale? How do you put their money to work effectively? We know what the next step is, with the experience we have on the team, which is quite considerable. We know the importance of having an asset class that’s scalable, that delivers decent returns and ultimately has some long-term benefits. What we’re doing has a long-term benefit, particularly to the homeowners for whom we’re releasing that capital. That itself makes what we’re doing differently to all of our competition. If you’ve got that marketing edge, that’s something that’s important. That’s something we intend to work hard to maintain that edge. What’s a way that you’ve improved your business that we can all apply to ours? The way we’ve improved our business is to bring in as much experience and talent and to not assume we can do it all ourselves. This business will be an inch deep and a mile wide. We are planning on building a large business, but we’re specific about the product we have. It’s a targeted asset class. There’s a lot of experience. The people that are experienced in this are experienced because it’s a narrow asset class. The way we’ve improved our business is to bring in the best people we can with the greatest expertise and not try and do it all by relying on luck or trying to figure it out as we go along. Generally, it’s determination. I’m not sure whether I’m determined or whether I refuse to give in. It’s probably tautological, the same thing. Generally, things never pan out the way you expect them. The ability to maintain and to roll with the punches, not to give up, to be pragmatic about one’s approach and to be flexible but still maintain your vision. That’s the critical thing in building a business like this because we’re at the intersection of these three technologies. It’s a big educational load we have to lift. Staying true to the vision, true to the belief that we had when we set this up from the beginning and plowing through regardless. What are you excited about now or for the future for your business? Everything we’re doing is interesting and exciting for us because we are dealing with new technologies. We’re dealing with the application of existing securities laws in a new environment. We’re getting some success. Success gives us the energy to continue this and we also think we’re doing something that’s quite meaningful. The platform is live. We’ve raised capital. We’re getting some good feedback from potential investors. We think very soon we’ll be able to announce the first large deployment of capital. Those things do help us and we’re looking forward to writing our first check to a homeowner and releasing some equity for them because that completes the circle. That’s important that we are able to do that and help those people as well. Do you have a need in your business that you would like to let the audience know about? Our need is education. We would be delighted for anyone to visit our site and take a look at some of the material we’ve put together and ask those questions. We don’t want to guess what’s going on in people’s minds. We’d love feedback, questions, how simple they are, how complicated they are, it doesn’t matter. We would love you to go and take a look at our site, which is QuantmRE.com. Have a look around and see if you understand what we’re doing because we try to deliver it in a way that is understandable as possible. Any feedback or assistance you can give us on that would be incredibly valuable. What we’re doing is difficult, challenging and ultimately, we will be giving back because we will be helping homeowners release their value without taking on the burden of debt. That mission itself is the beginning. There are some huge commercial drivers, but there are some important movement and messages that we’re getting across. There is no such thing as good debt. There are trillions and trillions of dollars sitting there for people that we will be able to help them with. That is something meaningful for us and we want to develop that because it will not be trivial in terms of the impact that it has on people. Matthew, you’ve been a great guest. I appreciate your time. Tell the audience how they can learn more about you and your company. Thank you, Whitney. It’s been a pleasure being on. Our website is QuantmRE.com. Everything is on there in terms of videos and books. There’s a site that you can go and you can invest if you’re an accredited investor. You can add your name to the waiting list if you’re in California and you’re a homeowner. We would love you to get in contact with us, ask us questions and we’d be delighted to see how we can help you. Thank you so much, Matthew. I’ve learned a lot from the show and I hope the audience has too. I hope they will connect with you and provide some feedback. I hope they’ll also go to Life Bridge Capital and connect with me. Go to our Facebook group, The Real Estate Syndication Show and connect and network with other entrepreneurs and help grow our businesses together. We will talk to each of you soon. Matthew is the CEO and Founder of QuantmRE, a cryptocurrency startup that supports homeowners by helping them sell a fraction of the equity in their home without taking on more debt. 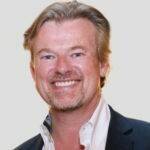 A seasoned entrepreneur, Matthew has a proven track record in real estate innovation through his experiences as Co-Founder of the $50M Secured Real Estate Income Strategies Fund, and as Founder and President of Crowdventure.com, a real estate crowdfunding company.